Setting the table as a kid meant using the laminated photograph placemats. Linens were kept for holidays and special occasions when the look was worth the risk of spills, but during the week, I ate my spaghetti while gazing at the steeple of Old North Church, the paintings of Charles Russell, or (my favorite) at the faces of Mount Rushmore. 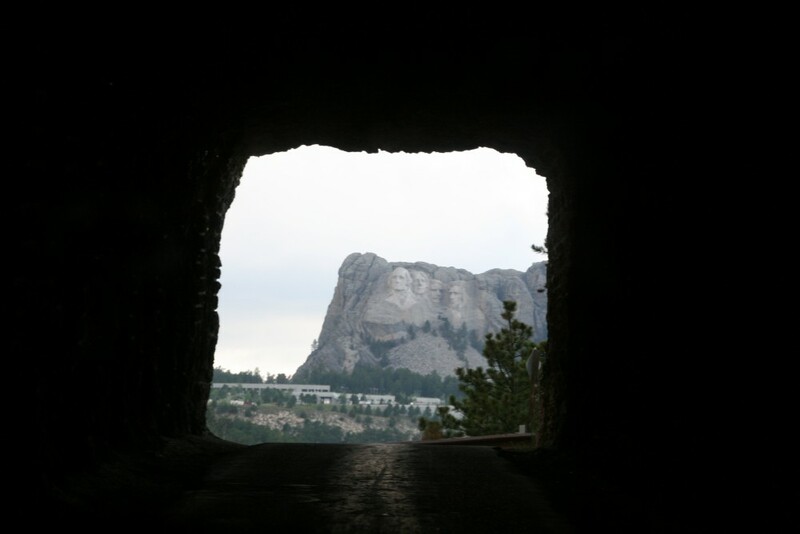 The chiseled gray faces of George Washington, Thomas Jefferson, Teddy Roosevelt, and Abraham Lincoln poked through the Needles Highway tunnel on our way to Mount Rushmore National Memorial. We hurried to get there, parking in the giant parking lot, and following the streams of people to the front entrance. This trip we arrived at dusk. It wasn’t our first visit, and we were squeezing it in. Despite visiting many times during our childhood, it was a priority not for only me, but for my brother, my sister, and their families as well. One of the most popular tourist attractions in the U.S., Mount Rushmore National Memorial is visited by 3 million people a year. What attracts us? Is it the immensity of the faces? The beauty of the area? The evidence of man’s dominance over nature? The appreciation of the artist? Although the Black Hills are a sacred place for the Lakota Nation, the lure of gold brought thousands of men into the hills in the late 1800s. In 1923, Doane Robinson had a vision to create a national monument to bring people to his state of South Dakota, and Gutzon Borglum knew where to sculpt it. 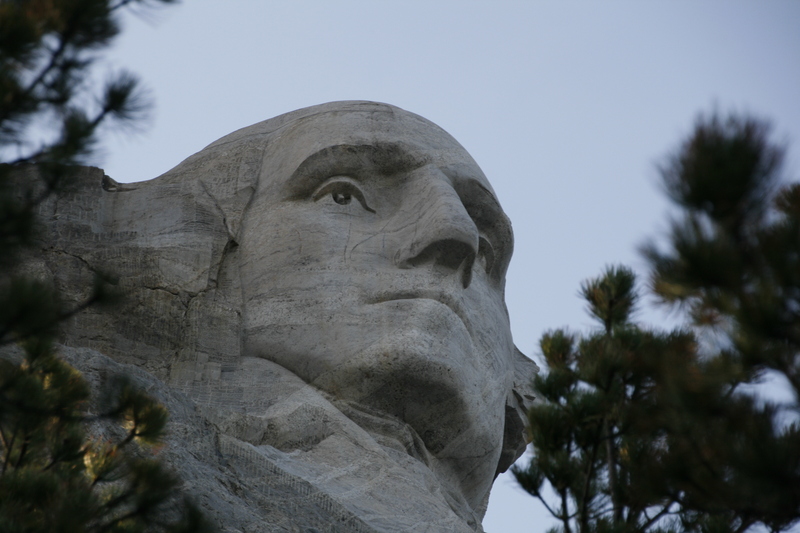 When confronted with the massive granite outcrop of the Black Hills, he saw beyond its natural beauty and the potential for a monument to the men who “best represented the foundation, expansion, and preservation of the U.S.” The sculptor continued blasting and carving from 1927 until his death in 1941 when his son took over, finishing the project a year later. 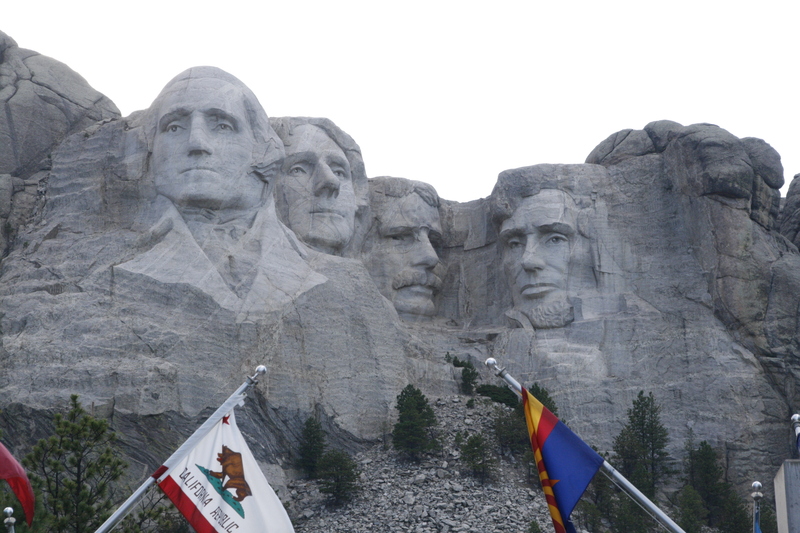 Today, Mount Rushmore is one of South Dakota’s biggest tourist attractions. There are museum exhibits, a trail, ranger walks, and an evening lighting ceremony held nightly during the summer. Mount Rushmore is located in Keystone, in the southwestern corner of South Dakota, just a short drive from Crazy Horse Memorial and Custer State Park. National Parks, South Dakota, U.S.